Meet the people who guide us. Tarek is currently the head of school at the Jakarta Intercultural School (JIS). After seven years leading the International School of Beijing and six years as the high school principal at Shanghai American School, he has moved further south in Asia to JIS. 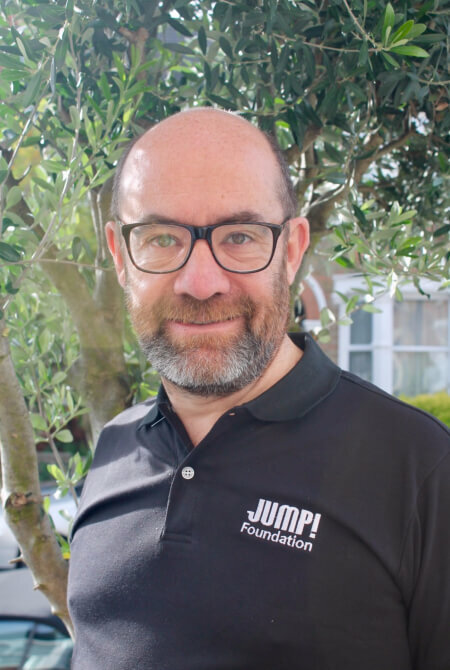 He has been involved with JUMP! for six years through programs in Beijing. Tarek has a Doctoral degree in Educational Leadership from Columbia University and Bachelor of Arts from the University of Vermont. In his free time he plays golf and strongly supports his Australian Rules Football team, the Collingwood Magpies. He and his family call Rangeley, Maine home. For a more in-depth Bio click icon below. Matthew’s career has been spent creating and expanding companies in retail distribution and real estate industries. Presently, he is Managing Director for China Horizon Investments Group and is leading a team, in partnership with China Post, to open 10,000 stores in China. 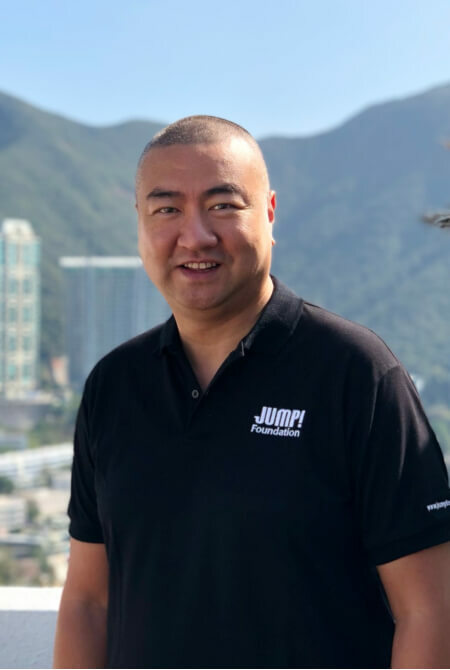 He was previously a partner at Asia Property Services Group, where he most recently represented Air China Real Estate to engineer a landmark deal with the U.R. National Basketball Association (NBA) for a partnership with the 2008 Beijing Olympic Basketball Arena. Peter is a designated Chartered Accountant with the Canadian Institute of Chartered Accountants. He started his career with PricewaterhouseCooper’s audit and assurance group and had worked in the Vancouver and Calgary offices, serving clients in mining, forestry, and oil and gas. Peter is currently a member of PricewaterhouseCooper’s advisory group in Beijing. Having completed his Bachelor of Commerce degree at McGill University, Peter obtained his Masters of Professional Accounting degree from the University of Saskatchewan. 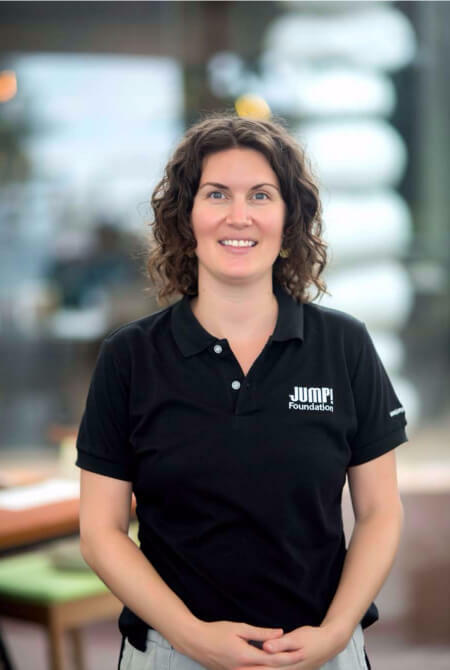 Pam is passionate about improving children’s access to quality education. 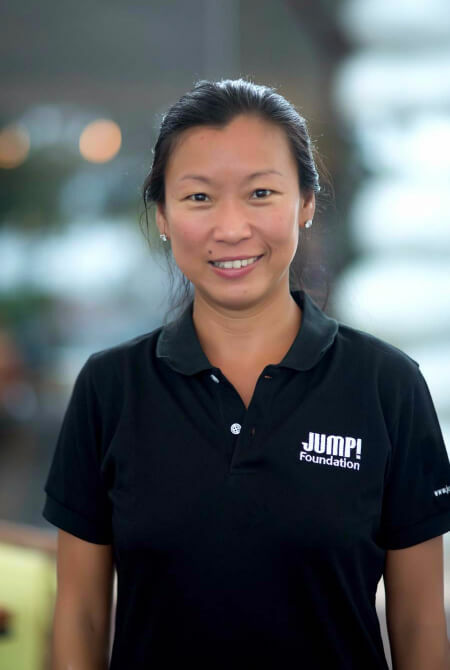 She’s worked in schools, UN agencies, and children’s media and technology organizations to find, refine and scale programs to improve children’s success and reduce inequities. 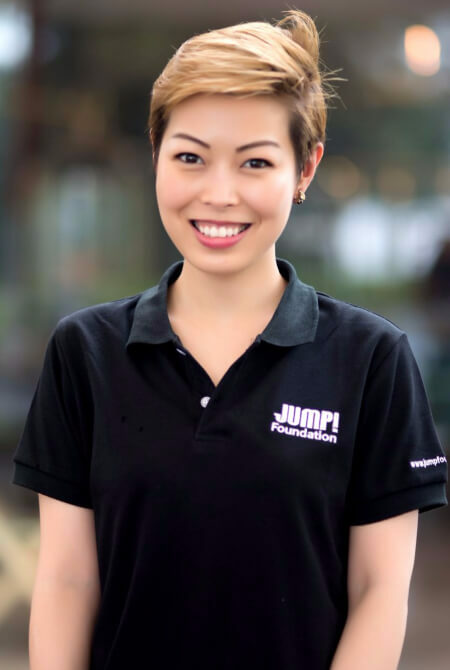 Born in Thailand, and having worked for children on global, national and community programs, she’s excited to contribute to Jump’s transformative mission. She has a Masters from Harvard’s Graduate School of Education, and a Bachelors from Williams College. 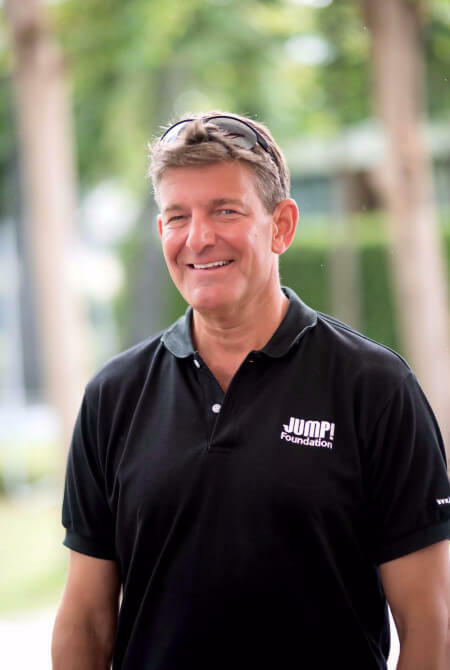 Co-founder and CEO of Altis Zenus Group, a global brand and product company that designs and distribute consumer and commercial electronic products under four brands; Cobra Electronics, Motorola, DeWalt and Olympia. Bernie is also active in the community. He served as the International Chairman of YPO/WPO in 2014-2015. Currently, he is the Chairman of the Hong Kong America Center, Council Member of St. Paul’s Co-Educational College, Trustee of SPCC Charitable Trust, past Council Member of Lingnan University in Hong Kong, Court Member of the Hong Kong University of Science and Technology and a Trustee of the Hong Kong Outward Bound School. He is also an Advisory Board member of the Institute of Chinese Studies of Chinese University and a Board member and IT Chair of CUHK Medical Centre. 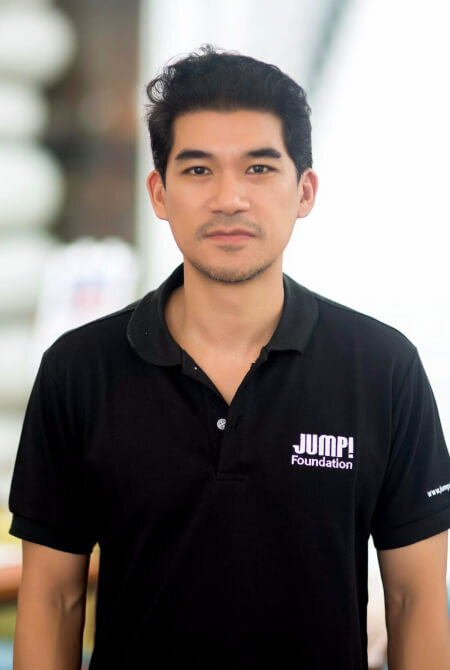 Born and raised in America, Sakson Rouypirom (or ‘Saks’ to his friends) relocated to Thailand in 2011 with a pre-med degree in psychology from New York University. 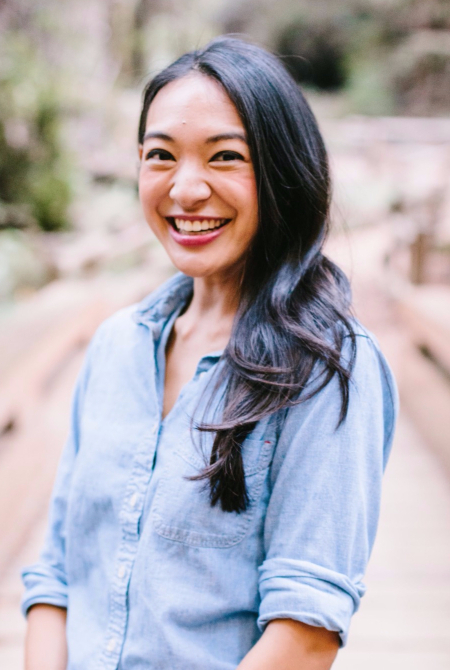 Recognizing areas around Thailand were going underserved in many basic needs, Saks founded SATI Non-Profit, an organization that focuses on providing access to healthcare and education to remote areas of Thailand and nearby regions. He works tirelessly on shifting public responses from forced sympathy to authentic empathy rooted in mindfulness and supported by volunteer and charity efforts that produce results. 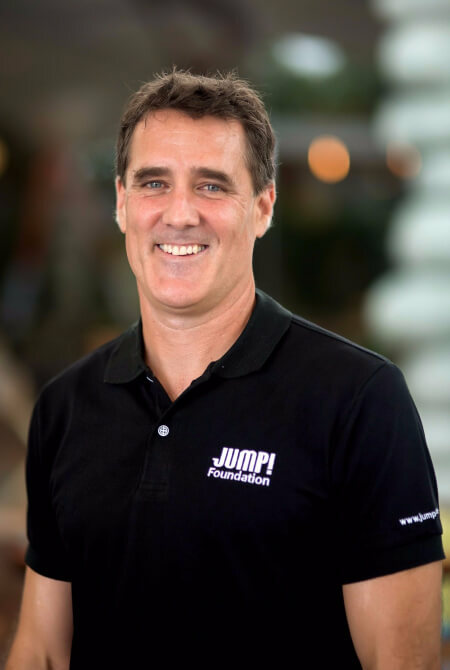 Warren was an early unofficial contributor to Jump, while the organization was just getting started. He has spent his professional career in Real Estate development with a focus on Design-Build projects in Asia. As a former partner at Facility Asia, based in Beijing, he oversaw expansion projects for numerous Fortune 500 companies throughout China. 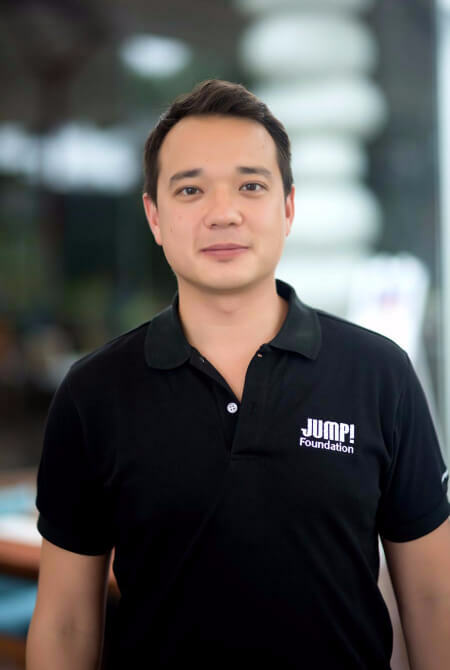 He was most recently working for Tesla overseeing their Asia Pacific Development team for expansion works for new Retail Stores, Service Centers, and Work Place projects. Michael is an experienced Executive Director with a demonstrated history of working in education. He is a strong business development professional skilled in nonprofit organizations, independent schools, e-learning, educational technology, and instructional design. Matt is an environmental consultant, Trustee and Executive Committee Member JGI Global and former Board Chair for the Jane Goodall Institute China. He is a reviewer and assurance provider to the Global Standards and Assurance Processes for the IUCN Green List of Protected Areas (GLPA). Previously he led The Nature Conservancy’s science efforts in the Asia Pacific conservation region (APCR). 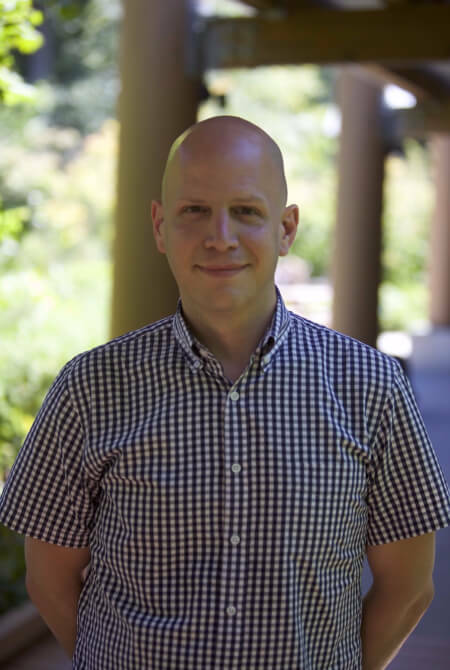 Prior to joining The Nature Conservancy, he was a MacArthur Foundation postdoctoral fellow at the California Academy of Sciences. From 1998 to 2001, he conducted his Ph.D. research on the wild giant pandas of the Wolong Nature Reserve in Sichuan Province. His current work and research interests focus on solutions around the water – energy – food nexus. A Beijing native with eight years of studying abroad experiences in the US (with a few exchange trips to Seoul). Still staying true to her dudish Northerner personality. Nini is a firm believer and advocate of inter-personal, soft skills, and EQ training in cultivating tomorrow’s leaders. 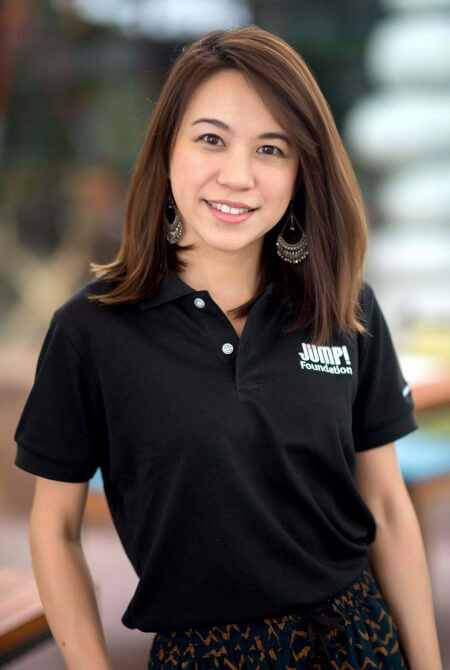 Her current focus is as the Founder and head Consultant for Shang Lifestyle Consultancy – which services high net-worth individuals and groups in China through two main lines of operations: Education and Luxury Products. 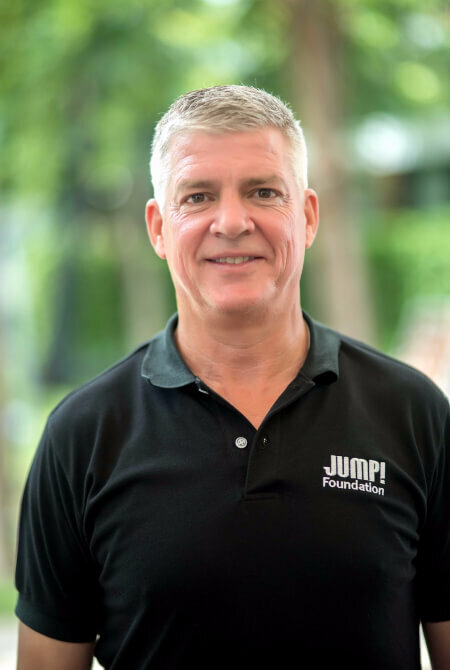 Based in his hometown of Vancouver, Canada, Frank has more than 20 years experience in managing and evaluating Community Development, Social Impact, and Education Programs. He is currently the Executive Director of a Refugee Mental Health organization, VAST, and is also a Lecturer in Social Work and Public Affairs at UBC, UNBC, Langara, Douglas, Native Education College, and NYU, Fordham, Rutgers, and Columbia Universities, and has provided guest lectures and Field Instruction at more than a dozen other universities. Frank conducts trainings for youth, educators, and managers, in 5 languages: French, Spanish, English, Mandarin Chinese, and Haitian Creole, and is functional in a few other languages. 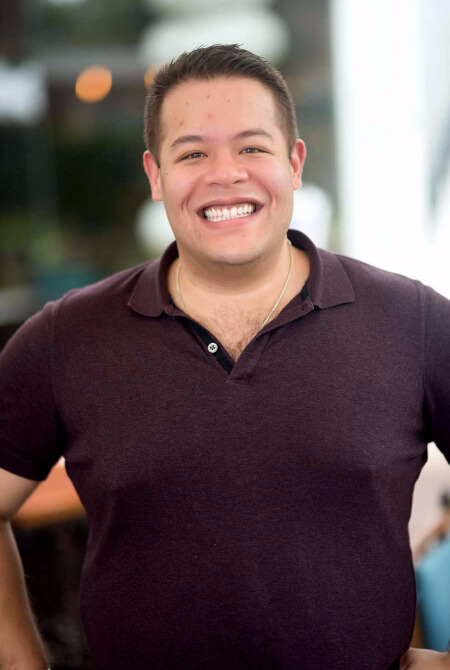 He has done leadership capacity building work with over 10,000 people in over 100 rural villages and urban neighborhoods in 22 countries in Latin America and Asia, and managed life-changing international travel exchanges for over 1000 youth. In 2007 Frank launched, and after 9 years as CEO, transitioned, Global Potential, an organization providing 5000 youth from low-income communities in five countries with transformational experiences and networks. Frank serves as a Consultant, Advisor, and Board Member for several non-profits, including The DUDES Club and the JUMP! Foundation. He has been a WTBD Instructor and Trainer since 2005. Frank was selected in 2011 as the New Yorker of the Week by NY1 Television, in 2010 won the Emerging Social Worker Award from the NASW–NYC Chapter, and in 2005 he was the Founding President of the Columbia University Partnership for International Development. Frank has his BA in Literature and Philosophy from UBC, and his Masters of Science in Social Work from Columbia University.